Ahead of their touring production of Henry V, theatre company Antic Disposition’s directors share five English cathedrals that they think are architectural treasures. Founded in 2005 by director Ben Horslen and director/designer John Risebero, Antic Disposition is an award-winning theatre company based in London, which prides itself on presenting innovative interpretations of classic plays and stories. Over the years, Antic Disposition has earned a strong reputation for its visually striking productions, which take place in historic buildings and unusual, non-theatre spaces. The company pays particular attention to the works of Shakespeare, with its recent productions including The Comedy of Errors at Grays Inn Hall – the location of the play’s first recorded performance, in 1594 – and A Midsummer Night’s Dream in the spectacular, Elizabethan setting of Middle Temple Hall. To mark the centenary of the First World War, this autumn Antic Disposition is performing its acclaimed adaptation of Henry V; the play will tour across the UK, visiting some of the country’s finest cathedrals and churches. To find out more about these fascinating locations and their historical architecture, we asked directors Horslen and Risebero to pick five of their architectural highlights – and discovered why these monoliths are the perfect place for a performance. 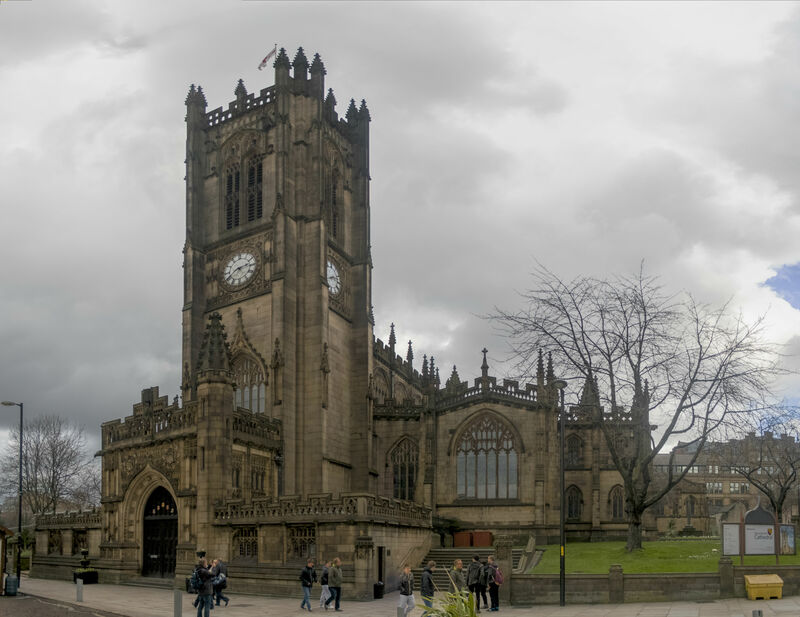 One of the smaller cathedrals on our tour, Manchester nevertheless boasts many notable architectural treasures, including arcades and a clerestory attributed to John Wastell; his more famous work includes the fan vaulted ceiling of Kings College Chapel, Cambridge, and the crossing tower of Canterbury Cathedral. The nave, where we will be performing, is roofed in wood (a great help with the acoustics for spoken word performance) and lined with angels – appropriate for a play about a monarch like Henry who believed his right to rule was ordained by heaven, and who attributes his success in battle to assistance from God. 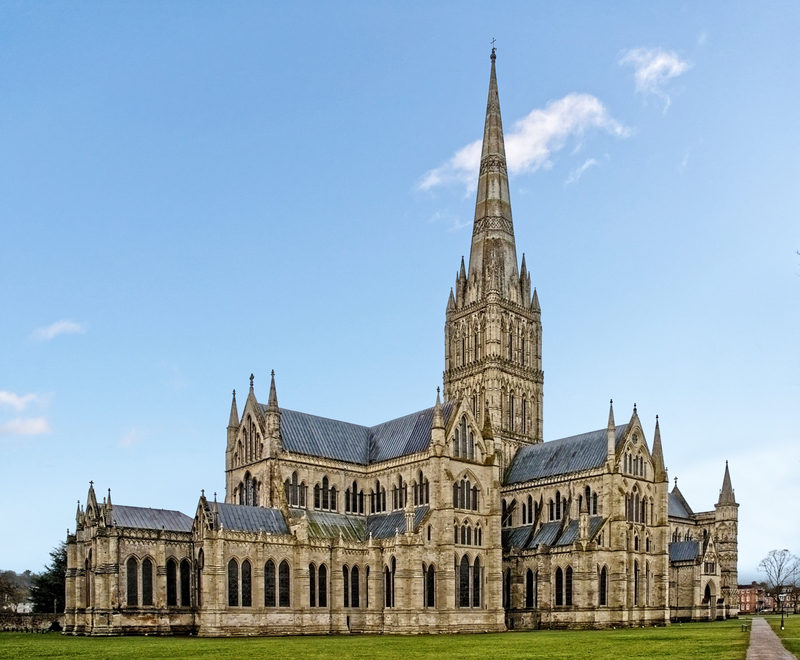 Famous for its soaring spire (at 123 metres, the tallest in England), Salisbury Cathedral dates from the mid-13th century and is now home to one of the four original copies of Magna Carta. Built in the Early English style, it also boasts the largest cloister of any English cathedral. For us, it’s a particularly special place to perform Henry V, as one of the tombs in the nave belongs to a knight who fought alongside the king at Agincourt. This gives an incredible extra power to Henry’s famous pre-battle Crispin’s Day speech (‘We few, we happy few, we band of brothers’), one of Shakespeare’s most extraordinary pieces of writing.